Cultural intelligence is increasingly important for business success. Many factors contribute to professional success. Hard work is one, but it is not enough. Having a high IQ combined with hard work is no longer enough. Having a high EQ, which stands for emotional quotient and measures one's ability to connect to people on an emotional level, combined with hard work and a high IQ used to be enough, but it is also no longer sufficient to lead to professional success. Today's and tomorrow's professionals will also have to own a high CQ, a measure of cultural intelligence and the ability to interact comfortably and successfully with other cultures. Studies have shown that people with a high CQ perform better on multicultural work teams than those with a low CQ. A study published in 2011 in the Journal of Social Issues found that cultural intelligence was a stronger predictor of the cross-border effectiveness of Swiss military leaders than either general intelligence or emotional intelligence. The person deciding whether you get access to your next opportunity, be it a job offer, project, financing, or something else, may have a different cultural background than yours. Do you possess a high enough CQ to engage with him or her in such a way that distinguishes you from your competition and gets you the opportunity? As business becomes more global, CPA firms and other business entities will begin to measure a prospective candidate's cultural intelligence as a way of determining if he or she can engage with clients or customers who are from different cultures. The primary purpose for improving CQ is to increase a firm's revenue. To implement a platform that encourages increasing the CQ of a firm's professionals for any purpose other than one that is directly tied to a significant positive impact on the firm's profit-and-loss statement will run out of steam quickly. The business case for CQ ends with a positive return on investment. Several years ago I was referred to a well-known and powerful synagogue in Stamford, Conn. When I went to the synagogue, I was the only person of color in the building. I went to meet with the synagogue's rabbi and financial officer and before entering the rabbi's offices donned a yarmulke. The three of us then engaged in a 30- to 45-minute conversation on Jewish culture and the history of the synagogue before discussing the synagogue's specific business issues. I ended up closing the business. A few weeks later I met with the managing partner of a midsize law firm who had been born in Israel and had served in the Israeli army. I happened to mention that that synagogue was a client. That literally was the icebreaker of the meeting. I ended up with a referral to a client of theirs in the airline industry that became a public company audit client of our firm, as well as a technology company whose principals were also from Israel and also became an audit client. Possessing cultural intelligence, particularly as it relates to Jewish culture, was probably the differentiating factor that put me ahead of my competition in securing that business. I have had similar success meeting with decision-makers who were black, Asian, female, gay, Hispanic, or combinations of the above. Having a high CQ also comes into play when attracting quality talent. Today's up-and-coming professionals want more cultural diversity in both their personal and business lives. And they also want their places of work to be culturally diverse. To attract and retain the quality of talent that can interact in a global marketplace, firms will need to increase their CQ so that they can speak to and attract a larger number of quality professionals. The more people you are exposed to, the better chance you have to hire the right staff members. So how does one develop and improve his or her CQ? 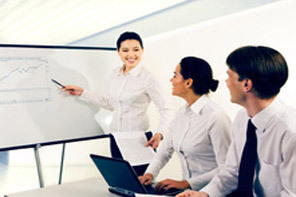 Accounting is a profession that combines continued learning and application of that learning. Cultural intelligence cannot be learned. The road to cultural intelligence starts with unlearning the unconscious biases that we have developed and embedded into our belief systems over time as they relate to other cultures (see "How to Counteract Unconscious Biases"). Unlearning involves creating a state called "no mind," which is based on being able to interact with others without having assumptions about who you think they are playing in the background of your thoughts while you engage with them. I believe that to authentically engage in the practice of "no mind" one needs to first acknowledge that maintaining such a state permanently is impossible. In other words, you cannot just simply flip an "off" switch and have unconscious biases go away forever. You can only maintain this state for periods of time. Despite its name, the concept of "no mind" is a form of mindfulness. As you probably know, the practice of mindfulness has been around for a while. However, it is a practice. It is not a "perfect." And when you don't practice the state of "no mind," all you can do is work harder to do better next time. Even the most evolved person has unconscious biases. Realize that you have unconscious biases and there are times that they will influence your actions and decisions, and that is part of being human. Acknowledge it when it happens from a very human space, and then learn the lesson that the opportunity of screwing it up afforded you, and then move forward. I recently served on the AICPA's National Commission on Diversity & Inclusion. I introduced a session called "Conversations About Race" that was led by an interracial married couple. Within the session participants were matched with other accounting professionals from different cultures. Within these groups they were put through a series of exercises that allowed everyone to interact from this place of "no mind." After the exercises the session leaders engaged in a conversation about cultural diversity. The participants were highly engaged in the conversation and participated enthusiastically. By first actually engaging with someone of a different culture from the space of "no mind," participants had the physical experience of what this felt like. This provided the necessary relativity of what the opposite would look like. The concepts of cultural intelligence discussed here focus on creating a platform of experiential learning where all cultures participate together and interact directly. These platforms create experiences of what it feels like to be in diverse environments and, for those who choose to engage in these types of practices in their firm, recommend that measurement of success be tied directly to the firm's profit-and-loss statement, specifically to how increased CQ contributes to increased revenue, increased staff retention rates, and lower labor costs. Soft skills and team-building courses combined with content that focuses on cultural diversity are good starts toward the unlearning process and developing a higher CQ. But, like anything else, mastery comes from practice. And practice consists of a professional's willingness to consistently enter situations that include people from different cultures and engage in deep conversations and interactions with them, with an eye toward creating the state of "no mind." The more you engage in these types of interactions, the more key cultural nuances you will learn and the higher your CQ will become.